Insects are best viewed using a stereo microscope. Low magnification of 10x-40x is typically ideal for insects, flowers, or anything you might hold in the palm of your hand, but wish to view in more detail. Parasitic wasps are used increasingly in agriculture for insect and pest control since they tend to prey mostly on pest insects and have little if any impact on crops. There are actually two types of wasps: solitary wasps and social wasps. Much like their name suggests, adult solitary wasps live and operate alone, and most do not construct nests; all adult solitary wasps are fertile. By contrast, social wasps exist in colonies numbering up to several thousand individuals and build nests, but in some cases not all of the colony can reproduce. In some species, just the wasp queen and male wasps can mate, while the majority of the colony is made up of sterile female workers. 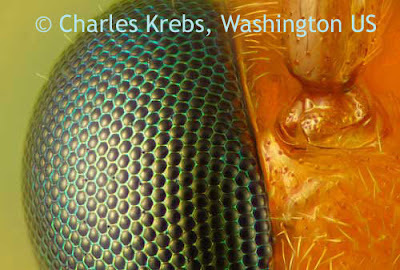 Image of a wasp eye captured at 40x magnification. 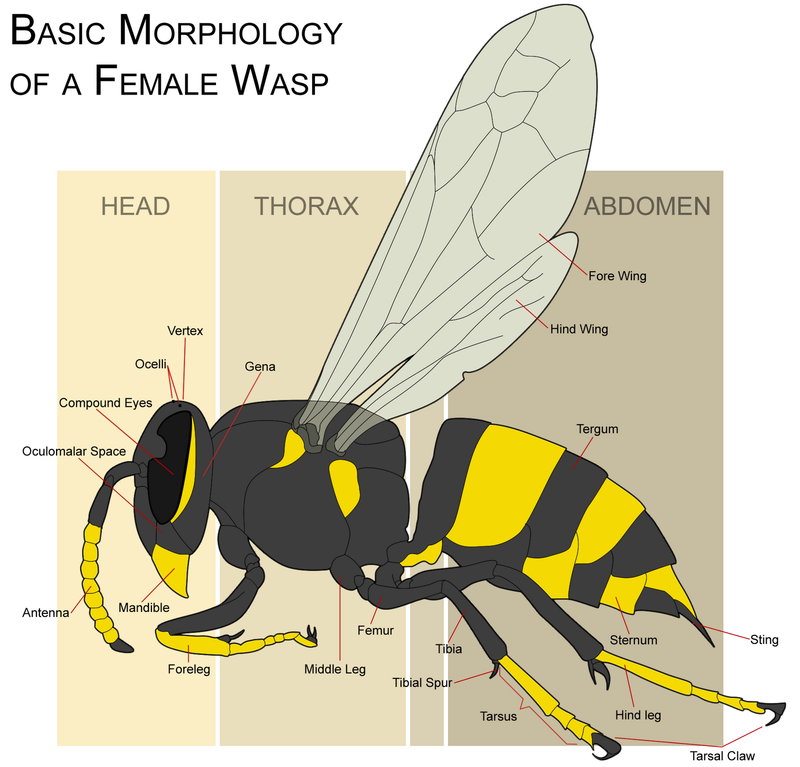 Most wasps have two pairs of wings, and the majority of wasps play no role in pollination. The exception being figs, which are pollinated by fig wasps. Learn more about wasps here.